One grinder and one belt sander combined together. 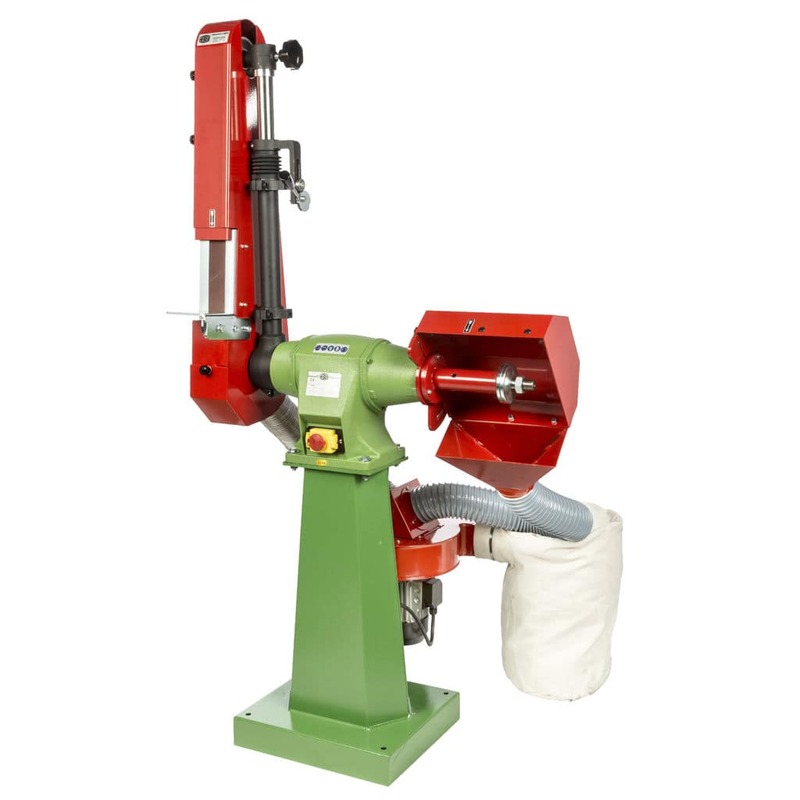 Particularly suitable to remove burrs and sharp edges of items cut by sawing machines. They are also perfect for cha1~ering and deburring foundry pieces (aluminum, cast iron, brass, bronze etc.) It is possible to work either on hard surfaces or on rubber wheel. On request, all these tools can be equipped 2 speed (1.400 / 2.800 rpm) is available by adding the power box BT2.